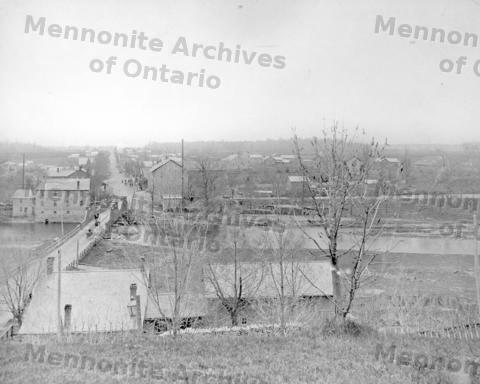 ItemDH-1219 - View of St. Jacobs, Ontario from north end. 1950. ItemDH-1223 - W. and A. Snyder General Merchants store ca. 1900? ItemDH-1224 - View of St. Jacobs, Ontario from Abner Good's field. ItemDH-1225 - View of St. Jacobs, Ontario from Good's field.